I Kent Believe It Got Better! Home » Film » I Kent Believe It Got Better! Superman is lame. Fight it all you want to, DC Comic loyalists, but there’s a reason people cheer whenever Batman bests him. Consumed by a fetishized, flag-waving patriotism that makes his status as a full-fledged illegal alien somewhat hilarious these days, Superman is basically an American god. Invulnerable, infallible (at least in terms of his moral compass) and inapproachable to most of us (as we don’t relate to the first two adjectives), adaptations of the character have been tepid and repetitive. Insert some vanilla messianic themes, have a bald dude threaten him with a green rock, rinse and repeat. With one tiny twist in perspective, Man of Steel has reinvented the character, dominated the summer blockbuster season and invigorated the concept of rebooting a franchise. How? It’s a sci-fi movie, not a superhero movie. As such, it features an origin story, but not a superhero origin story. No, this is a sci-fi movie about the origin of a costumed persona known as Clark Kent. Writer David Goyer, who has been crushing science fiction since his brilliant Dark City, starts us on Krypton. This is no quick flyover: we see the grand scope of this dying world. Jor-El (Russell Crowe) squares off against General Zod (Michael Shannon) over the fate of their race. The former advocates an attempt to keep their species alive by embedding key elements into his newborn son and sending him to a hospitable world, the latter stages a violent overthrow of the government. You can guess how that argument ends. Suddenly, the film skips to full superhuman adulthood. No slow transition necessary because director Zack Snyder is not telling the story of a Kansas kid coping with magnificent powers. This is a fatherless alien deciding whether or not to pretend to be human. Flashbacks to Smallville are only used to show factors Superman (Henry Cavil) is weighing in this decision. His father (Kevin Costner) advised isolation and segregation from humanity; his mother (Diane Lane) didn’t much object. When Zod arrives and forces Superman’s hand, he must consider the intimate knowledge he has gained of human life through a brief relationship with Lois Lane (Amy Adams) and the bigger picture of his alien nature. This self-exploration is done amidst hella action, more than has ever been included in a comic book adaptation. In escalating fight after fight, Snyder fully embraces the godlike attributes of his warriors. 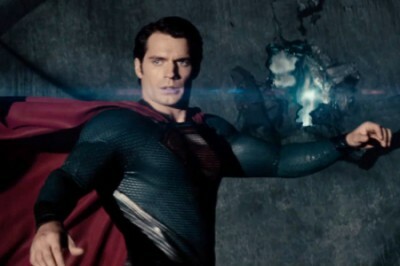 The spectacle is breathtaking in a way that no Superman movie has ever been. Even Lois, an unrecognizable character from previous incarnations, is not relegated to helpless victim, demonstrating intelligence, loyalty and bravery that isn’t undone by the narcissism of Margot Kidder’s version. Cavil is likewise fantastic, partially because this new approach leaves him free to make a version of the iconic character from outside the reach of Christopher Reeves’ shadow. Man of Steel is admittedly missing humor and fun, consumed by the seriousness of producer Christopher Nolan’s dark overtones and grey color palate. But the tone was a course correction, and the payoff is great. Unlike almost every superhero origin movie to date, the final frames don’t linger on a display of action, even if they show how a new identity came to be chosen. When Clark pushes up his glasses and smiles, we see that this human costume is the true hero we’ve been watching rise.